Honda Nelspruit boasts a state-of-the-art service centre. Time for an annual service, or do your brake pads need replacing? Maybe you need some small repairs done and you’re having trouble locating the genuine quality guaranteed Honda parts you need? There’s no need to travel all the way to Gauteng. “We strive to provide a fair and honest service, which comes with the tried and tested, Honda quality guarantee,” Van Rhyn concluded. There really is no job that’s too big or too small for us to handle. Honda Nelspruit, which boasts a state-of-the-art service centre and fully stocked genuine Honda Parts and Accessories department is your conveniently located one-stop dealership for all your Honda vehicle, and motorcycle needs. “There really is no job that’s too big or too small for us to handle. 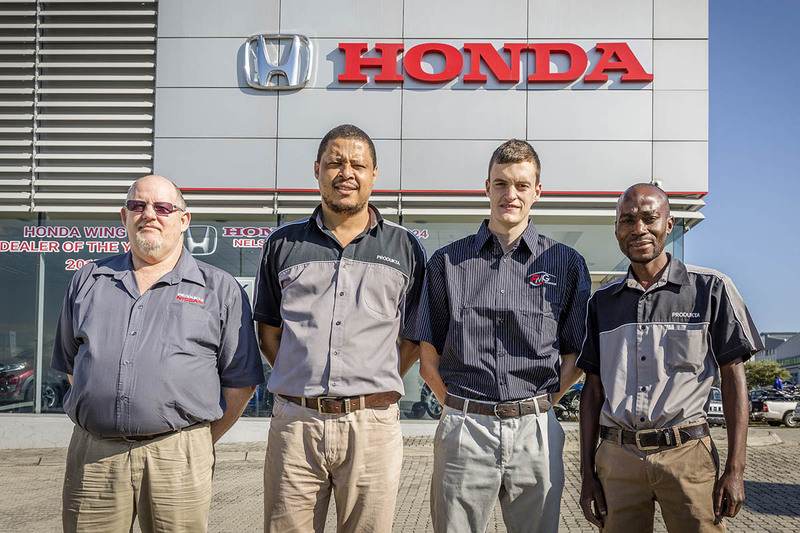 My team and I are committed to providing solutions, supported by the genuine Honda quality guarantee,” said Parts Manager at Honda Nelspruit, Michael van Rhyn of his dedication to providing exactly what his customers need. “Our warehouse is well-stocked and all our products come with a six-month guarantee, and if customers make use of our facilities and have the parts installed on-site we provide a one year quality guarantee,” said Van Rhyn. According to him, the Parts and Accessories department also provides a courier service to the Mozambican border with the added possibility of having your genuine Honda parts couriered to most places in the country. “All a client needs to do is provide one of our dedicated, qualified and professional sales executives with the model and Vehicle Identification Number (VIN number) of the vehicle as well as the required part and we do the rest,” he said. Van Rhyn said that Honda Nelspruit strives to maintain a transparent pricing system so that clients understand what they are paying for, what they are receiving and how this benefits them. To get in touch for a quote, to book a service or order parts, call: 27(0)13 753 7324, or send an email to: michaelvr@produkta.co.za or visit the Honda Nelspruit website and Michael van Rhyn and his team will gladly assist.